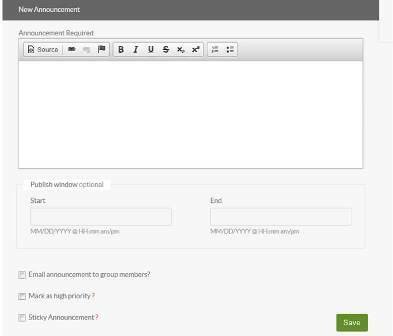 What is the best way to communicate with ALL group users? Messages: No option for basic or advanced text formatting, participants may unsubscribe so that messages only go to QUBES and not to their email, messages are not archived in the mentor’s Sent folder. Forum: various levels of forum can make this confusing. Creating an email list: substantial time must be invested to set up and occasionally edit an email list, furthermore mentor may not be able to access participant emails depending on privacy settings. This also moves communication away from the Hub where it will no longer be formally tracked by the website. What is the best way to communicate with SELECT group users? Messages can be sent from your QUBES account to any QUBES user. Go to your profile icon and select “Messages”. This will take you to your message center. You can click on the “Compose” tab to send a message through the Hub. The two drawbacks to this method of communication is that there is no option for basic or advanced text formatting and participants may unsubscribe so that messages only go to QUBES and not to their email. Participants would thus have to check their QUBES account rather than their email to see new messages.